It’s incredible to look back at the career of Dan Vapid and see that most of the bands he’s either helmed or been heavily involved in are some of the bands I call my favorites. It is a murderers’ row of pop punk bands, some indomitable, some were on the brink, and some were the next chapter in Vapid’s seemingly timeless pop punk songwriting. 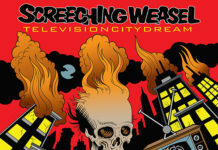 Screeching Weasel, undoubtedly is where you would have to start, and while you can argue that Ben wrote the vast majority of the material, Vapid was (and always will be) part of the band’s best lineup, and was partly responsible for some of Screeching Weasel’s most memorable songs (he co-wrote “Guest List” and a few other classic songs from My Brain Hurts and in my book, that solidifies his status as an important part of Weasel history). It’s almost hard to separate Ben Weasel and Dan Vapid when it comes to their recorded output. There is so much crossover between the two, even outside of Screeching Weasel (Riverdales, Ben’s solo stuff) that sometimes it feels a little unfair to Vapid that he’s constantly stuck within this little circle of musicians that gravitated around Ben. 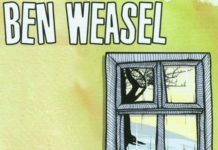 But while Screeching Weasel carries baggage as it does weight, it was what Vapid did away from Weasel that confirmed his stature as a great songwriter, frontman and someone who could stand firmly out of the shadow of his previous band. Whether you’re a fan of The Mopes or The Methadones, Vapid knew how to write a hook drenched in pop punk melancholia and infectiousness. I would argue that The Mopes’ 1998 record Accident Waiting to Happen is an all-time underrated pop punk album, and that songs like “Baby Doll” and “I Don’t Know How to Say Goodbye” would become precursors to the work he would do as Dan Vapid and The Cheats. So now some 6 years since the last Dan Vapid and The Cheats album Two, we get the appropriately titled Three. The album is ten songs of pop punk goodness that are so very good. It is as if Vapid harnessed everything great of all his previous bands and channelled it all into the ten songs here. There is refinement, urgency and enough guts to make this a punk record that leans into bubble gum pop punk and power pop, without it having to rely on the in-your-face attitude of a Screeching Weasel record. 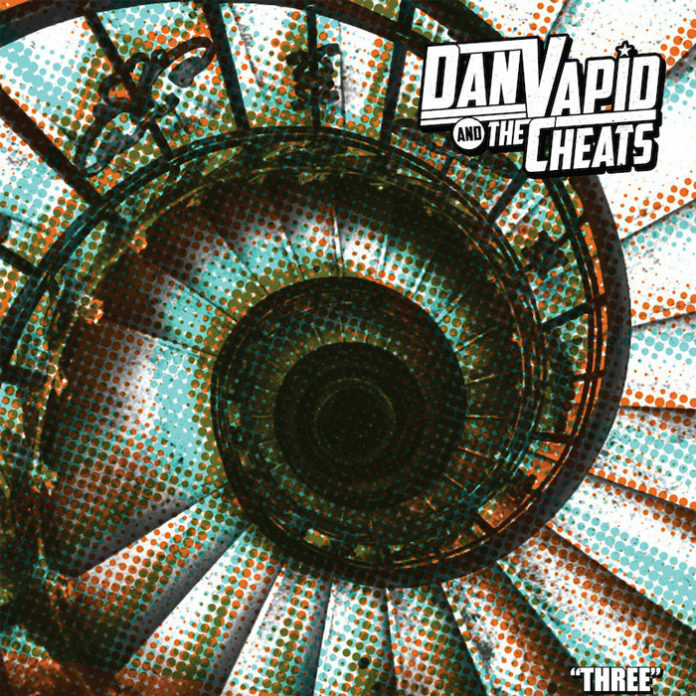 Rarely is that a good thing too, but Dan Vapid’s ability to create melancholic sounds both hopeful and introspective comes off as incredibly gratifying. “The Time We Get” is Vapid’s ode to living life to its best, tracked to soaring guitars and the kind of vocal harmonies that made us fall in love with the era of pop punk he’s closely associated with. “Chase Away the Darkness” takes cues from more galactic sounding rock; buoyed by that crunching opening riff, the song sweeps into stratospheres covered by those big stadium filling rock bands. The song, layered with the many ideas that come with “chasing away the darkness” is at an opposite to its tonal composition; a big song about something closely personal. Who says Vapid can’t rock out? While these songs are definitely tent-poles of Three, the moments where Vapid isn’t too concerned about sounding as grand are the album’s surprisingly best outings. “Bells of Maryville”, a sweet song about bringing life into this world, is straight forward pop punk but there’s something about the combination of the song’s composition, Vapid’s voice, and its Queers/Mopes amalgam that make it a truly fantastic song. “Dead Roses” however, is really something else- a wonderful song of the year contender. It is an earthy, rock n’ roll tinged number about heartbreak that skates along to great 60s-flavored beats with a foot firmly in the waters of sandy surf punk. “Let Summer Work It’s Magic” and “Live a Little” is a great one-two combo to close out the album. Both soaked in the rays of hope and the uplifting side of punk. The “oohs” and “aahs” of “Let Summer…” compliment the up-tempo percussions while the “cmon cmon” bubble gum nature of the latter takes you back to the Queers’ “Punk Rock Girls”. As Vapid sings the hook to “Let Summer…”, we are reminded that life’s often crazed rollercoaster ride is meant to lead us to one place. Dan Schafer, the man behind Vapid, has his legacy firmly entrenched in a punk history that he might not ever be able to escape from. But in reality, it really is OK- because as you listen to all the work he’s done away from Ben Weasel, you can see that he is more than an equal, and arguably, surpasses his former bandmate in writing songs that leave a lasting mark on those who listen.